Will ‘The Shape of Water’ be the ninth Best Picture Oscar champ not to win any of its three-plus acting nominations? Roxie Hart signs a murder confession in order to attract publicity for her dancing career as dames don't swing in Cook County. Will everything go as planned? Dr. Mark Eisen: You know the first thing I thought of when I saw you this afternoon? 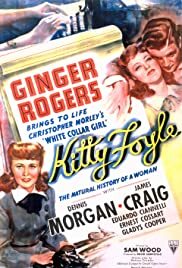 While I still prefer a Ginger Rogers and Fred Astaire film like TOP HOT, this film is probably Ms. Rogers' best film because she is clearly THE star and the film gives her a good chance to show her acting ability. In fact, for this film she earned the Best Actress Oscar, though I really think that perhaps both Bette Davis' performance in THE LETTER and Katherine Hepburn's in PHILADELPHIA STORY were both a bit better. 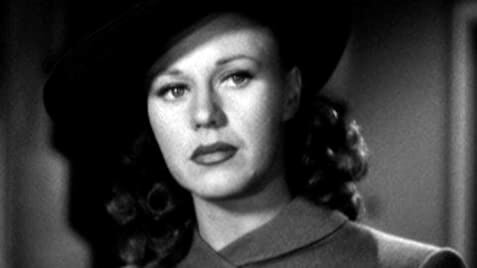 Perhaps she won that year because KITTY FOYLE is a very sentimental film or perhaps the other two actresses lost because they'd both already received that award. Or, perhaps Hepburn and Davis drew votes from each other. The bottom line, though, is Rogers is very good and compared to her other films, this one really stands out--even after all these years. My preferring the other performances in no way diminishes the fine job she did here. At the time, her winning was considered a big upset, though you can't deny all three performances were superb. And you really cannot be upset about her being chosen--she was deserving. The film is a romance, though instead of being taught in the traditional linear fashion, it starts near the end and then is told in a long series of flashbacks. This really works well--especially because what you THINK Kitty is about to do at the beginning of the film isn't exactly what you might think. Additionally, these flashbacks are written and directed very deftly and so many little touches help to give this movie a heart. Especially touching were the ballroom dancing sequence with Dennis Morgan as well as the weepy section that soon follows. The bottom line is that this is a complex, well written and acted film that might require you keep a box of Kleenex nearby--just in case. See this movie!